Should You Take A DUI Case To A Jury? Let’s assume – for the sake of an example – that you’ve been arrested for DUI and you know that you’re not guilty. Your attorney has been unable to get the charge dropped, and you don’t want to accept a plea bargain because you know that you’re innocent. Your choices at that point can get slim. Accept a plea bargain, or take your case to a jury trial and work for a not guilty verdict. You’ll have to decide, but you can get help with that decision by contacting an experienced Orange County DWI defense attorney as soon as possible after your DUI arrest. 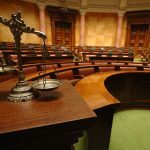 You need to think carefully before you choose a jury trial for your DWI case. Your attorney will have to gather evidence, interview witnesses, consider potential exhibits, and review various documents. Your attorney must also research the law, prepare witnesses, file any motions that are needed, and develop and present your case. Obviously, going to trial can be more expensive than accepting a plea bargain. You’ll have to compare the costs of accepting the plea bargain, going to trial and winning, and going to trial and losing. The decision at that point is yours, but you should genuinely heed your attorney’s advice. Going to trial in a DWI case means that you may lose a good plea bargain, and you’ll risk receiving the maximum sentence. Whatever choice you make, make sure that you are working with an experienced Orange County DWI defense attorney from the very beginning. Make the call as soon as you can after your arrest. It’s possible in some cases that your DUI charge can be resolved before you have to choose whether or not to go to trial. Always contact a good Orange County DWI lawyer if you or a friend or family member faces a DUI charge in Orange County. 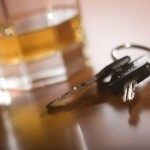 Whatever you choose, don’t choose to face a DUI charge without an attorney’s help.